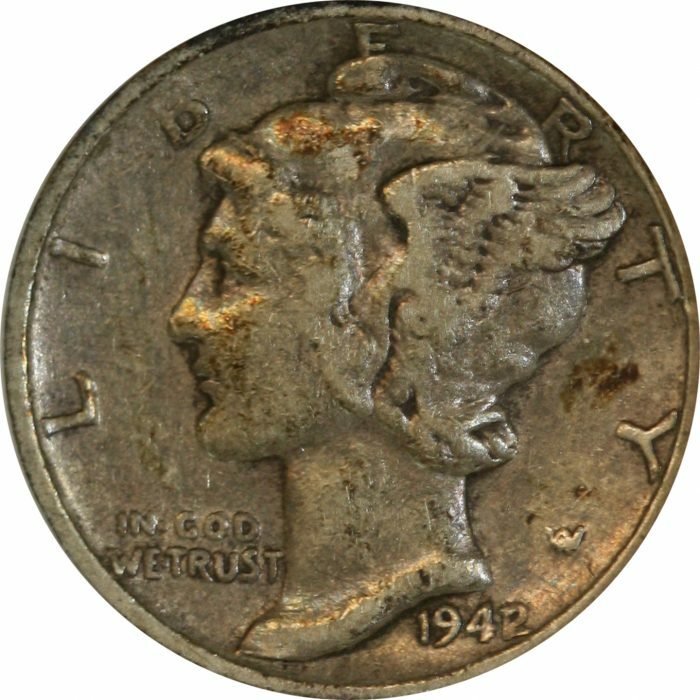 1942/1 Mercury Dime VF20 Graded by ANACS 156154. Both the obverse and reverse have the expected wear for the grade. The words and date are readable; overall this coin has reasonable detail, being the strongest in the center of both faces (which is where you would expect to have the most detail). Known as the Winged Liberty Head or Mercury this dime was minted from 1916 until 1945. The wings on the cap were meant to be the symbol of freedom of thought. It was replaced by the Roosevelt Dime in memoriam.